There are more than 6,000 languages in use around the world today. This "eye chart" features characters from more than 25 languages -- including Japanese, Icelandic, Russian, Hindi, Tamil, Tibetan and Thai. For detailed information about each of the characters included in the chart, click here. 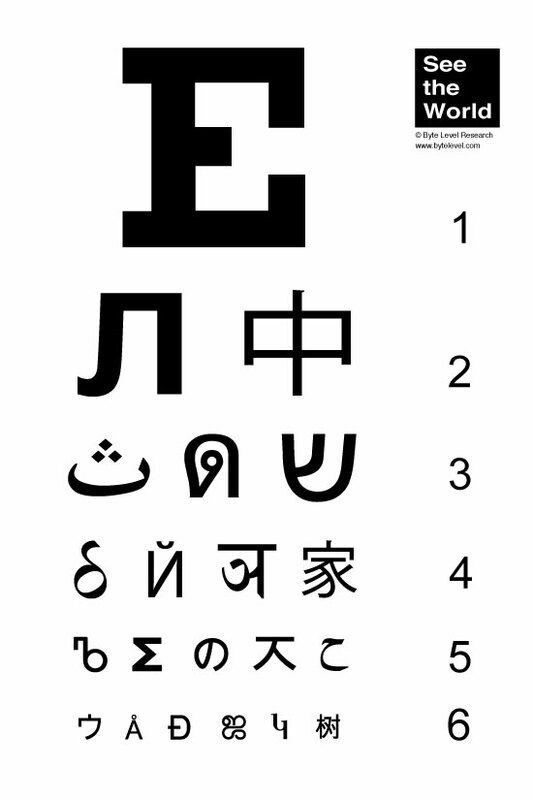 The eye chart is printed on 100# matte stock and is suitable for framing.